... 1946 (65 years ago today) , a daughter was born to an Orthodox Jewish family in South Liverpool, England. After earning degrees from Oxford and the London School of Economics, and marriage to an accountant, Edwina Currie (left) entered Conservative Party politics. She served as Junior Health Minister from 1986 to 1988 -- a stint that 1st was marred by her assertion that "good Christian people" did not get AIDS, and that eventually was ended on account of her warning about salmonella in eggs. 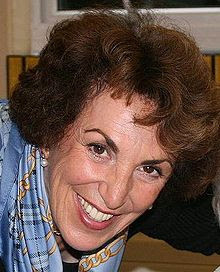 Currie lost her seat in Parliament in 1997, and since has been a novelist and media personality.